At International Spanish Language Academy, we combine two learning approaches to create a rich and challenging global environment that is academically strong. Our curriculum not only meets, but also exceeds the existing Minnesota standards by providing an immersion and International Primary Years Programme (PYP) experience. 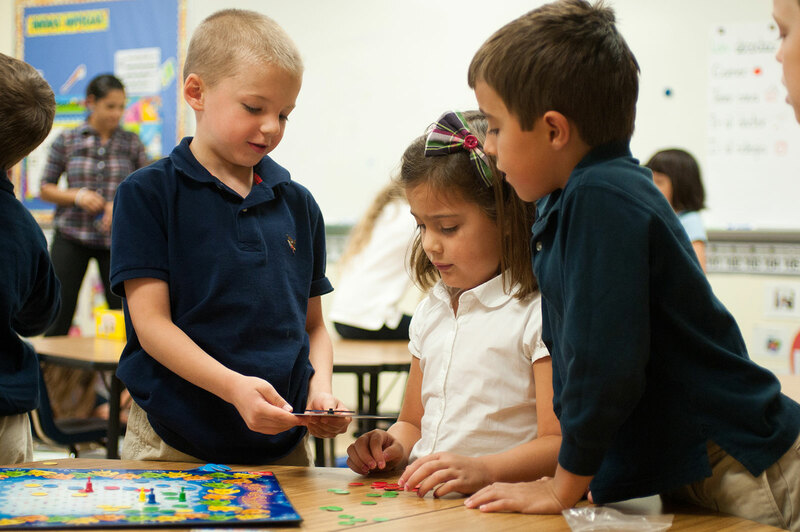 As a Spanish Immersion school, all classes are taught in Spanish for students in K-1. In second grade and up students receive instruction in reading and writing in English while receiving their other lessons such as social studies, mathematics, science, technology, arts, and physical education in Spanish. As children progress through the program, more time is added daily to address the English component. ISLA offers before and after school care with native speakers of Spanish, as well as extra-curricular activities like sports, music, art and dance. As an IB World School, our students are instructed daily using the inquiry approach. ISLA is the only immersion school founded by teachers of immersion. This means best practices grounded in research have been the cornerstone of the development of this school. ISLA is a 2013 National Blue Ribbon School of Excellence and has been recognized by the Minnesota Department of Education as a "High Quality Charter School."